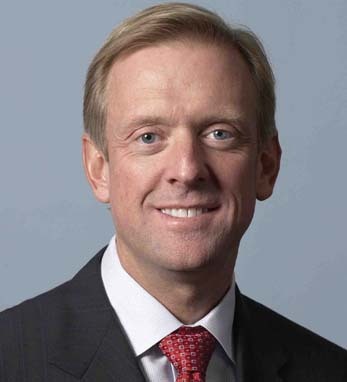 Craig Donohue has served as CEO of CME Group and its predecessor company, CME Holdings Inc. since 2004. Craig is a member of the Wall Street Journal’s CEO Council and serves on the steering committee for its Future of Finance Initiative. Craig is a member of the Bretton Woods Committee and serves on the Commodity Futures Trading Commission’s Global Markets Advisory Committee. He is chairman of the Board of Directors of the Council for Economic Education, chairman of the Executives’ Club of Chicago and a board member of the Chicago Council on Global Affairs. He also serves as vice chairman of the CME Group and the NYMEX Foundations. Before joining CME in 1989, Craig was associated with the Chicago law firm of McBride, Baker & Coles. He holds an MBA from Northwestern University, a JD from John Marshall Law School, an ML in financial services regulation from IIT Chicago-Kent College of Law and a BA from Drake University. Craig is a third-generation Irish American whose ancestors came from Cork.